The results of the 2018 midterm election began rolling in just past 8 p.m. on Tuesday, Nov. 6 after polls closed throughout California. In the Laguna Beach City Council race, with 4 of 16 precincts reporting as of 9:30 p.m., incumbent Toni Iseman (15.4 percent), gallery owner Peter Blake (14.5%) and Planning Commissioner Sue Kempf (13.7 percent) lead the field of 12 candidates for three open seats on the dais. The city’s Measure P, a 1 percent sales tax hike billed by city officials as a necessary step to bury dangerous utility lines, has 50.9 percent of voters in opposition, and 49.1 percent in favor. 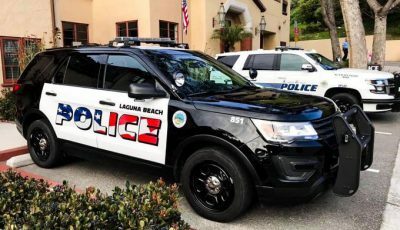 The sales tax increase would bring Laguna Beach’s sales tax to 8.75 percent and would remain for 25 years. Opponents view the measure as a money grab that will benefit a few residents. In the Laguna Beach Unified School District Board race, incumbents Carol Normandin (23.1 percent) and Dee Namba Perry (22.4 percent), and retired college president James Kelly (21.6 percent) are the three top vote-getters for three open seats. In California’s 48th congressional district race, with 110 of 395 precincts reporting, democrat Harley Rouda has pulled ahead slightly with 50.1 percent of the vote, and republican incumbent Dana Rohrabacher has 49.9 percent of the vote. This story will be updated throughout the evening. View up-to-date results of all the state’s races here.